Inspired By A True Story: WHY DO BAD THINGS HAPPEN TO GOOD PEOPLE? Finding faith can be difficult for many people on any given day. Imagine an ordinary Sunday morning. It’s time to get ready for church and you go to wake your talented, loving, bright, beautiful son. Only, he won’t wake up… ever again. What happens to faith then? This is how tragedy began for a Burlington, North Carolina family. Their son, Harry Cohen, was a high school senior – a genuinely inspirational young man, star football player, friend to all and a strong Christian. One morning he didn’t wake up. The untimely death of an outstanding young person naturally brings up questions about faith and God’s presence. How can God allow such a thing to happen? The event obviously has an immense effect on family, friends and the community at large. actions, words and deeds with a message of faith & hope. 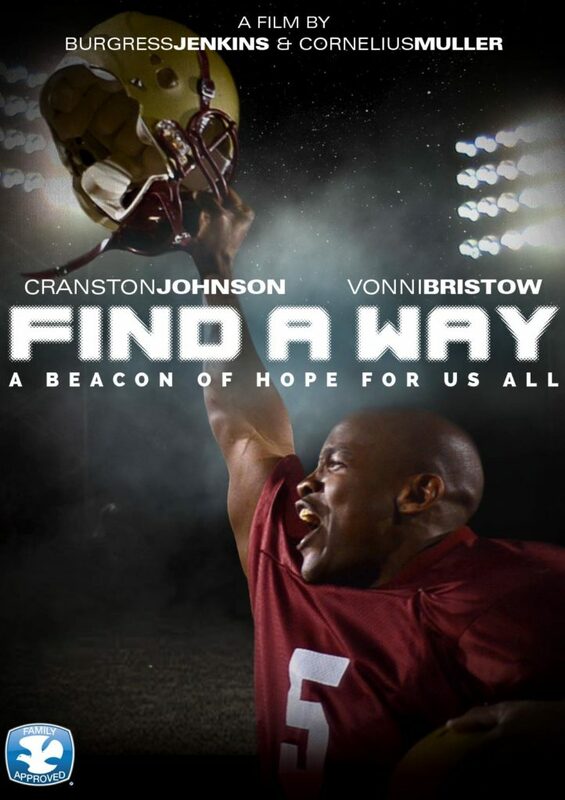 FIND A WAY will stand as a tribute to Harry Cohen and be a beacon of hope to anyone who has ever dealt with pain and heartache. Sign up and find out the latest news from Word Films.